Welcome to Week 43 of Year 7 here at PPF! An early Happy New Year to all! Our best wishes for a Healthy, Happy, Prosperous and especially, Creative 2018! And have a relaxing and/or fun New Year's Eve celebration too! We are so happy you've found some time to paint & party with us during the holiday season! This week, the random.org number generator chose #13: Laurie. Last week Laurie shared a painting inspired by an owl and it's magnificent shadows. Please stop by Laurie's blog to read more about her inspiration. Welcome to Week 41 of Year 7 here at PPF! Hope you find time for some creativity at this busy time of year! 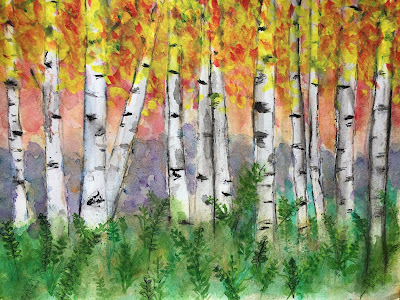 Welcome to Week 40, Year 7 of Paint Party Friday! This week, the random.org number generator chose #19: Nadya. Last week Nadya shared a post that seems very timely as we are transitioning between seasons... 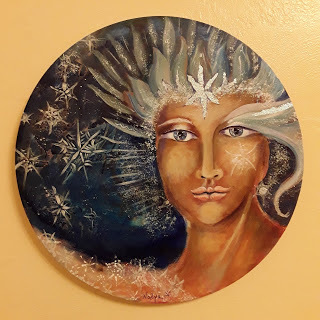 In her post she showed us how a summer muse transformed into the spectacular Snow Queen below. Please be sure to visit her blog to view the muse where this painting began. Hoping you transform many canvases this week! Welcome to Week 39 of Year 7 here at PPF! This week Random.org chose #21 - Jean Marmo. 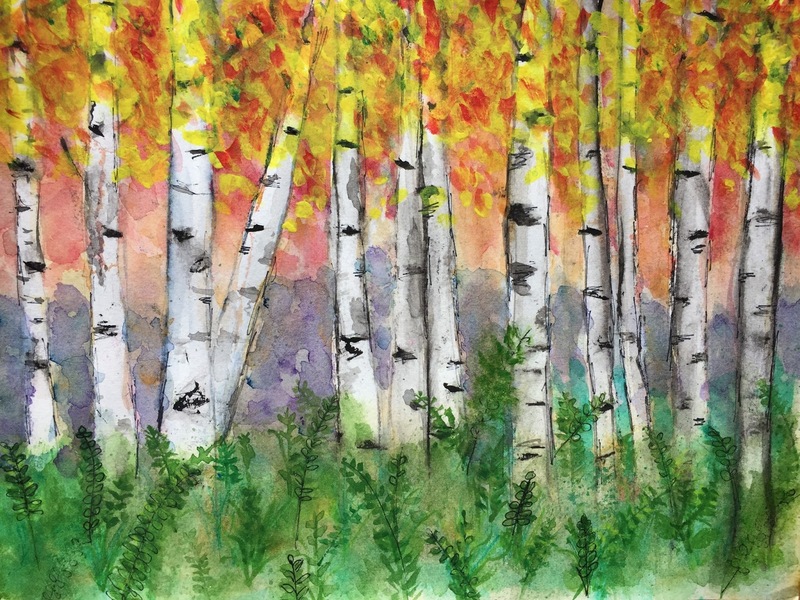 Jean created a lovely fall scene this week.